Six mayors. Four decades. And so many stories. 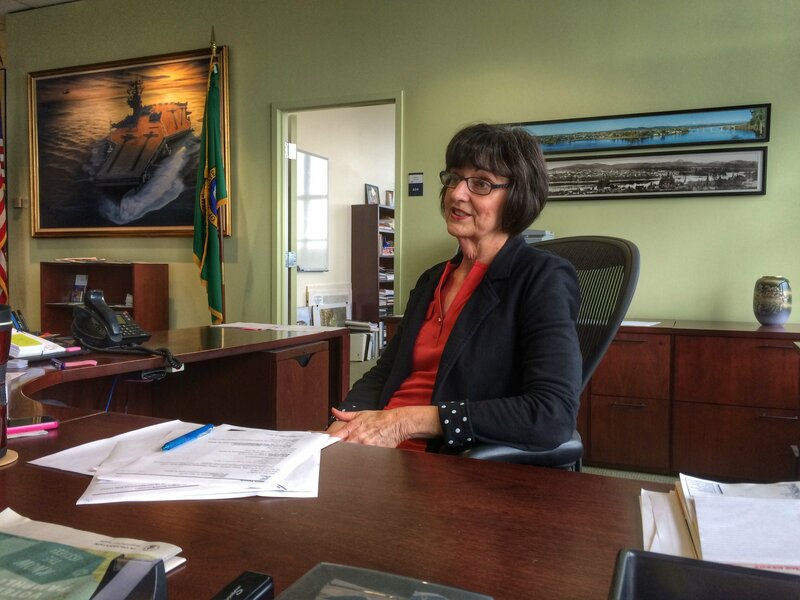 Elaine Valencia has been the executive assistant to mayors in Bremerton since 1983. She’s survived quite a variety of personalities, keeping each one in line and on track and establishing a reputation that the next mayor in line felt they couldn’t live without. On Friday, she celebrated her 40th year with the city. But she’d be just fine without any pomp and circumstance, happy to leave the limelight to her boss. “I prefer to stay in the background and not draw a lot of attention,” she said. A lifelong Bremerton resident — her father Jerry Yeadon was the elected clerk of Bremerton for a couple terms — she graduated from West High School in 1969. She got a job in the city’s parks and recreation department as an office assistant in 1974, transferring to the planning department after about a year. There, she stayed until 1983, shortly after the city’s charter passed and a strong mayor form of government replaced a city commission in Bremerton. When she left the planning department, she had it written in her contract that she’d “bumped” back there if she lost her position in the mayor’s office, where at that time she served Morrie Dawkins. But, “I never had to use it,” she said of the contract. The job, she said, requires a diligence in staying on top of daily affairs and correspondence. There are days when the office is flooded and someone unprepared would be overwhelmed. If the ball is dropped, she said, it can damage the entire office’s — and indeed the city’s — reputation. Case in point: when Gene Lobe, the second mayor she served, came aboard in 1986 he had Valencia on three months’ probation. She recalled being late for a few things in those early days. On the day the three months was up, he called her into his office. He decided to retain her but told her that she was never to be late for anything again. “You have to be the example for all other employees,” Lobe told her. The message has resonated to Valencia to this day. “I’ve never been late since,” she said. Mayor Louis Mentor, taking the reins in 1990, never even asked if Valencia would stay on. She just kept going. Mayor Lynn Horton made a point of asking that she stay, Valencia said. Mayor Cary Bozeman told Valencia “everyone told me that I have to keep you,” and so she stayed through another tenure. When current Mayor Patty Lent was elected, it was a familiar face. Both had known each other through the Lions Club and Valencia had seen Lent in the mayor’s office before when Lent was a county commissioner. Over those five mayors’ tenures she’s watched a downtown bustling with life nearly die, only to be reborn again in recent years. I’m posting the press release from the Secretary of State’s office without making any “ha-ha” remarks to my good friends who live and work across the Sinclair Inlet from Bremerton. Isn’t that big of me? This is the second Kitsap resident to be honored in this way be the state. 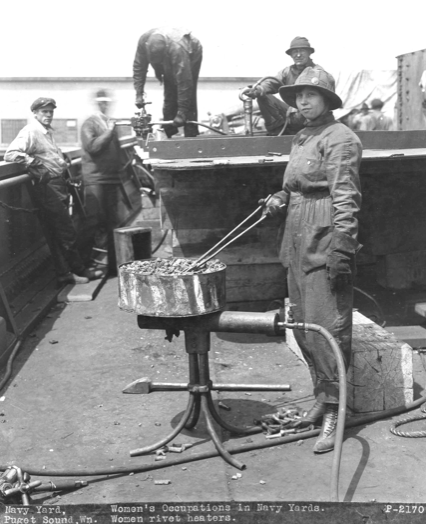 The first was former Bremerton Sun writer Adele Ferguson. I’m hoping to interview Ms. Walker on Monday. OLYMPIA – A 95-year-old Bremerton civil rights pioneer is the latest Washingtonian to have her life story told by The Legacy Project, the oral history program established in 2008 by the Office of the Secretary of State. Lillian Walker helped found the Bremerton branch of the NAACP in 1943 and went on to serve as state NAACP secretary. She was conducting sit-ins and filing civil rights lawsuits when Martin Luther King was in Junior High. The Legacy Project e-publishes oral histories and biographies of Washingtonians who have been instrumental in shaping our history. The materials are published online and are free for easy click-on reading or downloading. They are excellent resources for school and college projects. In the past nine months, The Legacy Project has offered up profiles of Charles Z. Smith, the first ethnic minority on the State Supreme Court; pioneering female journalist Adele Ferguson; rocker-turned-civic activist Krist Novoselic; former Chief Justice Robert F. Utter; and trailblazing federal judge Carolyn Dimmick, who was the first woman on the State Supreme Court. Soon to be published are the oral histories of former first lady Nancy Bell Evans and astronaut Bonnie Dunbar. An oral history with former Governor Booth Gardner is in preparation, and a biography of the late Congresswoman Jennifer Dunn also is in the works. She is a charter member of the YWCA of Kitsap County, former chairman of the Kitsap County Regional Library Board, a 68-year member of Ebenezer African Methodist Episcopal Church, and a founder and former president of Church Women United in Bremerton. Lillian Walker exudes dignity, pluck and perseverance. One of 11 children born to a mixed race couple on a farm in rural Illinois, she dreamed of becoming a doctor, but she was the wrong color and the wrong gender at the wrong time in the wrong place. Still, there’s no bitterness over the fact that she and her late husband took on an assortment of part-time janitorial jobs for 40 years to make ends meet and give their kids a better life. Their son graduated from Stanford University, went on to earn a Ph.D. and is an epidemiologist for the Centers for Disease Control. Saturday’s Mission Outreach Day wasn’t just another reason to get together and have a good time. In addition to the People Power Revolution in the Philippines, the event marked the adoption of the Namibian Constitution, the release of Nelson Mandela from the South African prison were he had spent much of his adult life and Black History Month. 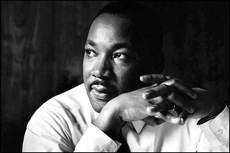 And in the spirit of these historical mile posts that intersect every February, I would like to challenge you, dear Bremerton Beat reader, to read perhaps Martin Luther King’s most famous piece of writing. He was, after all, a minister, so much of his words were delivered to audiences. This piece was composed in the solitude of a jail cell. Here it is, Letter from a Birmingham Jail. It isn’t long, only about 6,900 words. It will take you longer to flip through the channels on cable in the futile effort to find something worth watching that to read it. Steve Brown, the shorter one, and his cousin Scotty Lee pose outside the little store on the corner of Trenton and Stoneway in the early 1960s. After we ran the story about The Little Store, I received the following e-mail. I asked permission to publish the letter here and requested photos. As you can see, Teresa Gillett came through. I wanted to write to you to thank-you about doing the article on “The Little Store,” but probably not for the reason’s you are thinking of. I grew up weekends in this store because it belonged to my Grandfather and Grandmother Jesse & May Monroe. They owned it during the time it was “just the little store.” They ran that store by themselves, 7 days a week, from early am til into the night. Some of my earliest memories and family photos are from in front of the store during the early sixties and into the seventies They also lived there as well but it was renovated, I believe in the 90’s. Steve Brown and his grandmother May Monroe wait outside the little store for the city bus headed downtown. Right off the top of my head, I can’t tell you when he bought it but he had it for over 20 yrs. (Sometime in the 50’s) I learned a lot about people in that store. I also learned about kindness and tolerance and watched as my grandfather, an ex cop from Eastern Washington, took care of the neighborhood people–his people. He looked out for the whole neighborhood and gave food to those who couldn’t afford it in ways that maintained their dignity. He didn’t brag or talk about it either, that wasn’t his way, he just did it. So thank-you for giving me pause and time to recount wonderful memories and moments that helped structure not only my values and beliefs, but those of my brothers and well, the people in that neighborhood and the very people who brought back the store! Last time I went into the store, about 6 yrs ago, I felt sad for my Grandparents, my Grandpa especially because they were selling drug paraphernalia and it just made me feel incredibly sad. If you could pass this on to the new owners I would appreciate it. I live in Bremerton and one of my brother’s owns a marine hardware store in Port Townsend. He is a big Seahawks fan as well. We’d like to stop by his store and say hi. PS I hardly ever buy the paper anymore. But, for some reason today, I just felt like picking it up and buying it. I guess my Grandparents were feeling a little proud and wanted to share this with someone who could really appreciate the changes!